Vivo V11 Pro finally launched today in India after several teasers from the company. The V 11 Pro is the mid-range smartphone from the company that comes with several flagship-level features, mainly the in-display fingerprint scanner. Other highlight features of Vivo V11 Pro are a new Halo FullView display, Snapdragon 660 chipset, 12MP+5MP dual rear cameras, 25MP front camera, and a 3,400mAh battery. The Vivo V11 Pro price in India is set at Rs. 25,990 for the only 6GB/64GB version. It comes in Starry Night Black and Dazzling Blue colors. The V11 Pro will be available for pre-order in India from today and will go on sale from September 12 via Amazon India and Vivo India online store. If we talk about launch offers, those who purchase the V11 Pro via HDFC cards will get flat Rs. 2,000 cashback. While Reliance Jio users will get worth Rs. 4,050 benefits on buying V11 Pro. Vivo will also offer one-time screen replacement as well. If we talk about specifications, the Vivo V11 Pro sports a 6.41-inch Full HD+ (1080 x 2340 pixels) Super AMOLED display with 19.5:9 aspect ratio. This is Halo FullView display from Vivo that has a new waterdrop notch on top. The smartphone is powered by an octa-core Snapdragon 660 processor with Adreno 512 GPU, 6GB RAM, and 64GB storage which is expandable up to 256GB with microSD. In terms of camera, the V11 Pro sports a dual rear camera with a 12MP primary sensor with dual pixel technology, dual-tone LED flash, f/1.8 aperture, and 1.28 μm pixels, alongside a 5MP secondary sensor with f/2.4 aperture. There is a 25MP front-facing camera with f/2.0 aperture, and AI beautify feature. 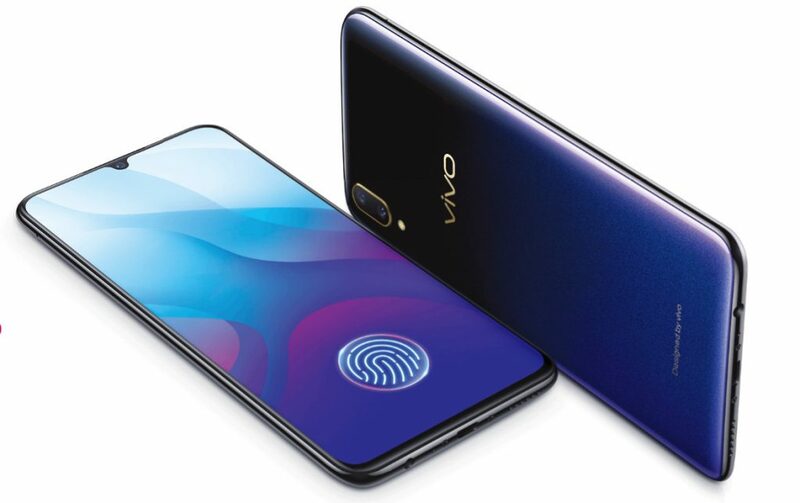 As mentioned, the smartphone sports a new in-display fingerprint scanner which is an improved version of the one used in Vivo NEX and X21. Moreover, it also features AI face unlock technology. The smartphone runs Funtouch OS 4.5 based on Android 8.1 Oreo. Dimensions of the phone are 157.9 x 75 x 7.9mm and its weight is 156g. The Dual SIM phone has Dual 4G VoLTE, Wi-Fi 802.11 ac (2.4GHz / 5GHz) 2×2 MIMO, Bluetooth 5 LE, GPS + GLONASS as connectivity options. It also sports a 3.5mm audio jack and CS43199 + SSM6322 Amplifier for a better audio experience. It packs a 3,400mAh battery with Vivo’s Dual Engine fast charging support. At 26K This One Is Looking Amazing.